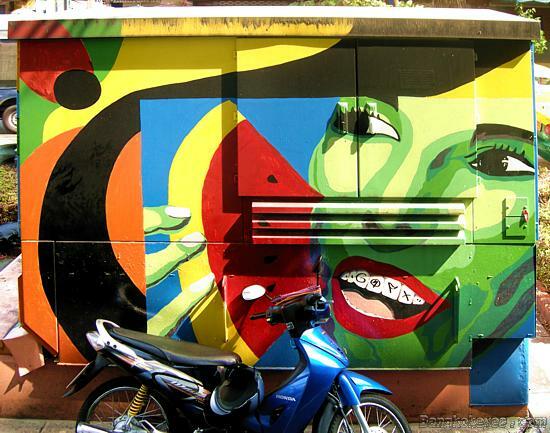 Bangkok's nightworld expands undiminishingly, and has done so in three dimensions for several decades - there is no end in sight.  It has become a fathomless, garish world, the dynamics of which are no longer capable of being comprehended by a single person, or organization or government entity. More complex than any single living organism, the Bangkok Night Scene has, like the fictional SkyNet in the Terminator series, begun to function independently, both inside, and outside the boundaries of society's manmade laws, ordinances and norms. Bangkok's Nightworld complexities can be seen, in parts, by anyone venturing into the streets after dark, however, a holistic comprehension shall remain beyond the pale. The Night Scene 'whole' is now made up of too many 'parts' - many of these parts coming into contact with the other parts, and many not. The immensity and complexity of Bangkok's Nightworld is such that no two individuals perceive the Bangkok Nightlife Scene in the same way. 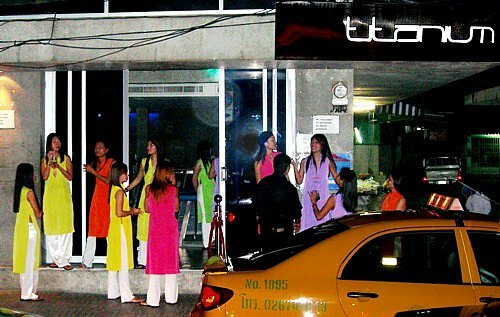 It is more likely than not that individuals living in, or coming to Bangkok will not be exposed to all, or even some, of the same things - and will almost certainly carry away with them entirely different views of Bangkok's Night Scene - it has become that big - that multi-faceted. While self-annointed "Old-Bangkok-Hands" will tend to be skeptical of this view, they are in fact, the first to be lulled into a simplistic view of 'The Scene'. To illustrate : - the Khao Sarn Road crowd, with their Lonely Planets in hand, often do not see any other 'Bangkok Nightlife'. There are those who prefer the laid-back bar beer scene, with a regimen of darts and pool, and there are those who are exclusively "pub people". 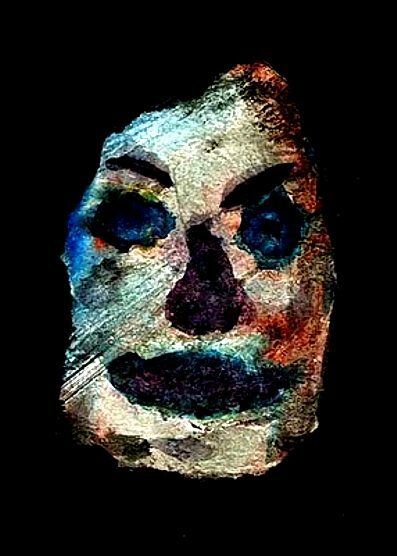 The drug dealers and pushers live in their own stratum of the Nightscene, as do the street hookers, who rarely or never mix with other Nightlife strata. The gays see only their gay world within the Nightlife Scene, never needing to leave Soi Twilight, Soi Katoey and the like. The mainstream "Bangkok Bar Scene" boys see their own "Bangkok", as do Bangkok's police, as do the night street vendors and sidewalk barkeeps. 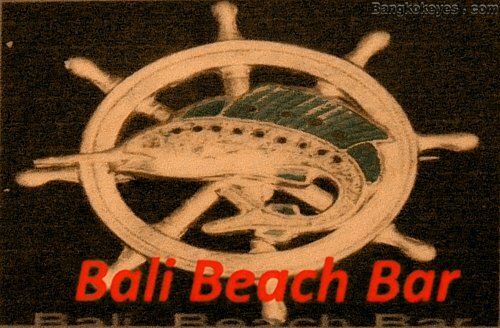 Then there are the "party" crowds who, by design, keep to themselves and their soft drugs and orgies - their 'Bangkok Nights' being separate and apart from the others. 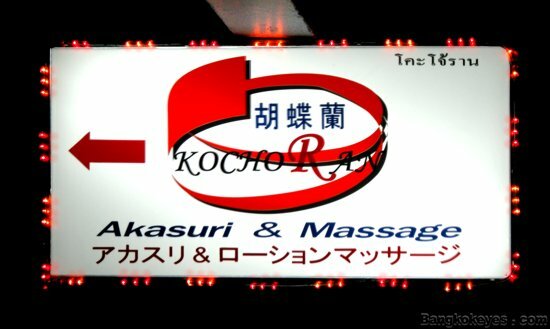 There are also those who prefer the specialty massage parlors over the bars, and spend virtually all their (night) time at these venues. 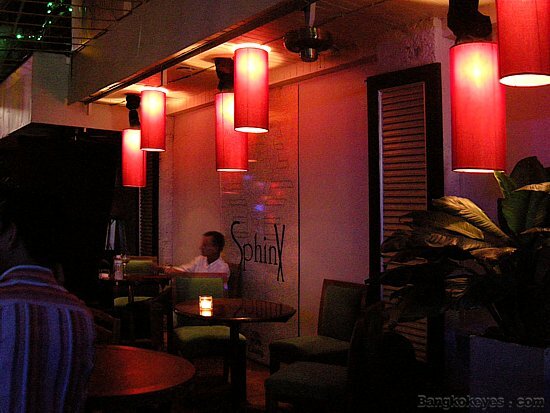 And there are others who only see, physically, a small part of Bangkok's Nightlife; one soi, or perhaps two or three sois in a given neighborhood (such as Washington Square, or Rachada, or RCA, or Suthisarn, or Jatujak). And there are those from Germany who see and know one 'Nighttime Bangkok', while those from Nigeria see and know another -almost exclusively. While it serves no purpose to ennumerate each and every aspect of Bangkok's Night Scene, it should also be noted that there are some individuals who 'partake' of more than one of the above. However it becomes abundantly apparent that it is physically impossible to partake of the entire "Scene" in all its forms and in all it's localities. 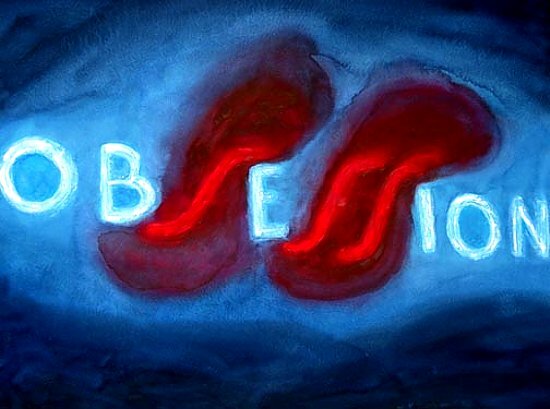 And while there is no finite, all encompassing definition of this potentially dangerous, high-energy morass of boozers, soft and hard drug addicts and traffickers, whoremongers and whores, gays and straights, pedophiles and child prostitutes, scammers and hustlers and pickpockets, drug-you-and-rob-you katoeys, liars, human traffickers, bent and honest cops, dishonest and honest taxi drivers (and etc), Bangkok's Nightlife denizens do exist, do adapt, and do develop an overall sense of how to, and how not to, navigate through much of our midnight jungle. 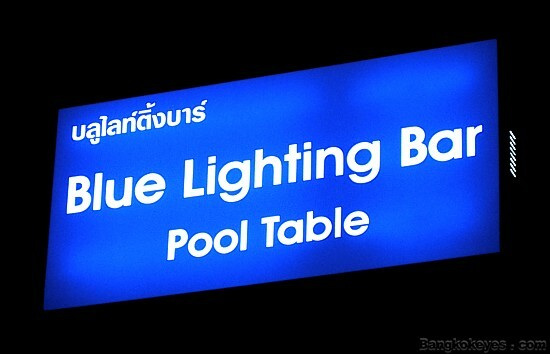 It is, rather, this navigational sense -this ability to remain functional in a darker world where cause-and-effect is often not obvious- that defines the "Bangkok noir". 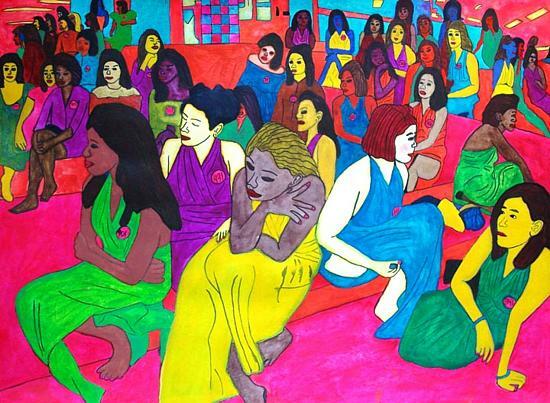 One such denizen of Bangkok's 'electric nights' is an expatriate American artist by the name of Chris Coles, whose paintings you are now viewing. 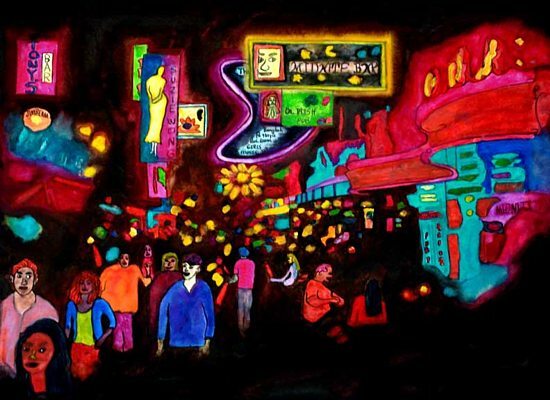 His total immersion in Bangkok's Nightlife Scene preceded his current series of 'noir' paintings - his absorbtion of that around him was, and is, complete to the extent that he "sees" each of his subjects as though illuminated in neon and black-light. 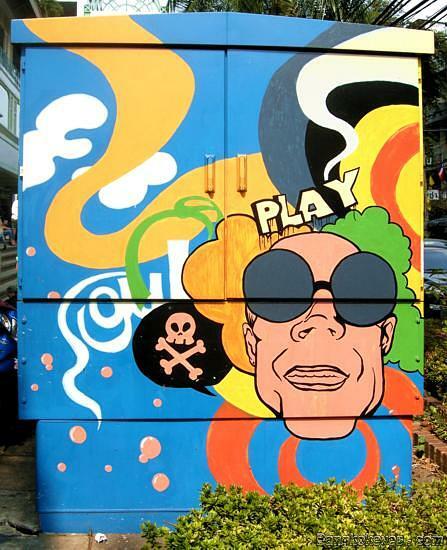 Originally, these paintings were thought to be "weird", however, because his unique surrealism keeps this one hook in reality (abundantly apparent to Bangkok's like-minded denizens), the interest in this one-of-a-kind artist and his works continues to grow. 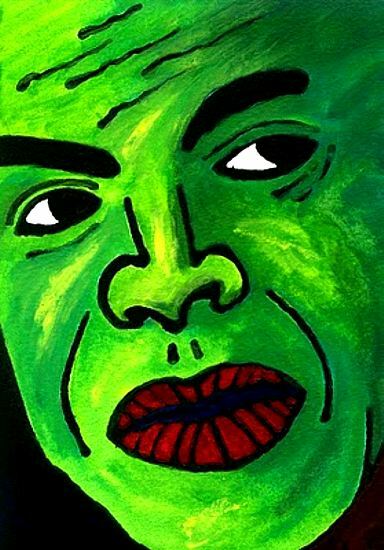 A recent showing of his works at Liam's Gallery in Pattaya was more than modestly successful - one local expat now owns two of Coles' works, and others are considering it prudent to add one to their personal collections. But regardless of who owns, or doesn't own whatever, Chris Coles' Nightscene works are the real deal - a part and parcel of Bangkok's neon circus. 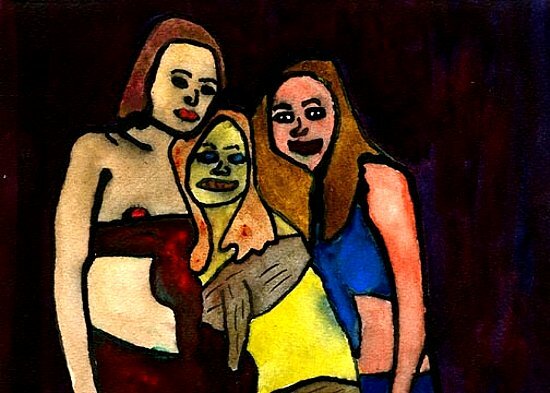 All artwork remains the sole property of Chris Coles; reproductions thereof require prior permission. Thanking you kindly for your support. With kind thanks to: Photo Bucket < link> for use of the 'candle'. 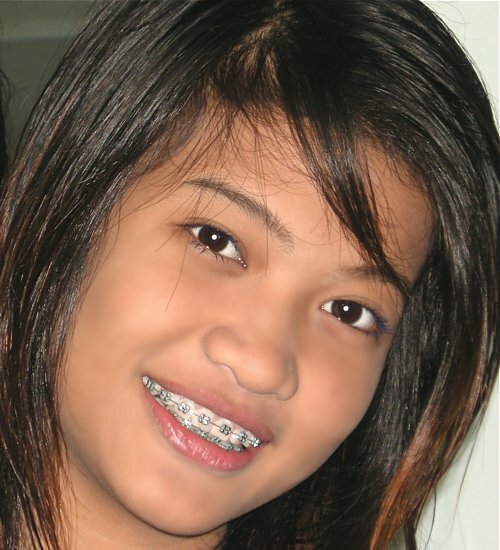 This month's Thai Smile Award goes to a young lady who hopes one day to be a model. Bright, luminous, eye-catching. This month the Door Art Of The Month Award goes to the off-Broadway Noir. Where is Noir Pub? 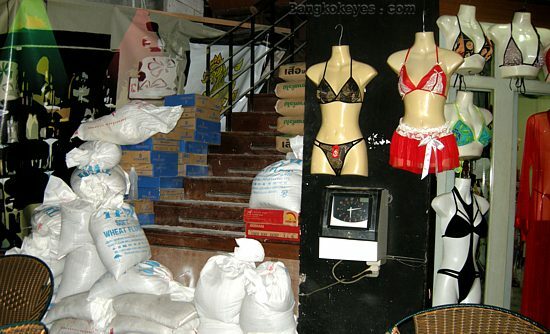 I was told that it was on Soi Mahadthai, Ramkhumheang. (I will be coming from Thong Lo.) Planning on going to see Kai-Jo Brothers on Saturday. What is your take on the place, Good, Bad or the Ugly? One other quick question, what do you think of Titanium and the ridiculous price tag for their Bar Fine? 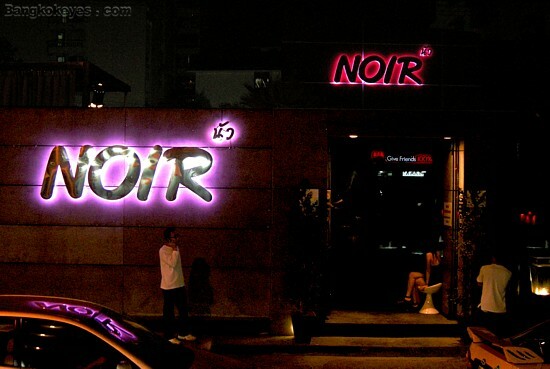 The Noir Pub is located on Soi 65, Ramkhamheng Rd. It can also be accessed from Soi 122, Laad Phrao Rd, but it is a much longer journey. 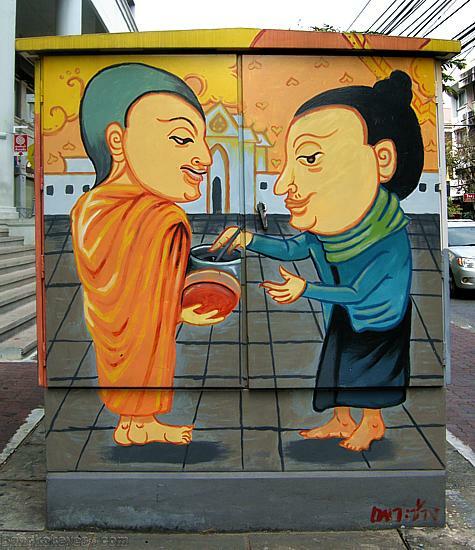 (Note: Ramkhamheng 65 and Laad Phrao 122 are actually the same soi: "Mahadthai 1".) -Getting there: - coming from Ramkhamheng, turn into Soi 65, and cross the bridge over the khlong. Continue on for about 700 meters, and the Noir will be on your left. The neon is unavoidable. "The lovliest ladies-of-the-evening ever - barring the Magic Fingers Massage on Plantation Road (Saigon, 1971) - were in the Thermae Coffee Shop. Barfine? We doan need no steenking barfine...."
The Bada Bing ! are using large flat-screen LCDs to advertise what goes on within. What is the world coming to? The Bada Bing ! doesn't really get rocking until after 22:00 hours, but then it gets down to business. Let the good times roll. 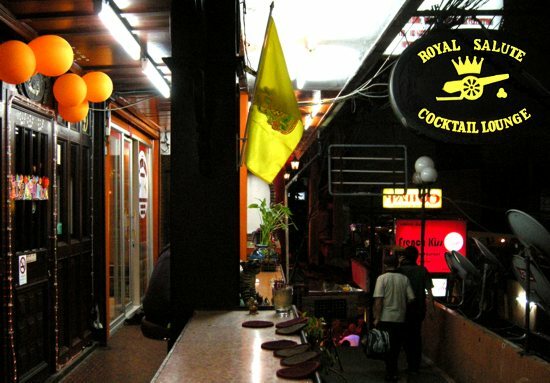 Having opened and closed several times over the last two years, the Royal Salute Cocktail Lounge, located on 'The Ramp', is once again open. 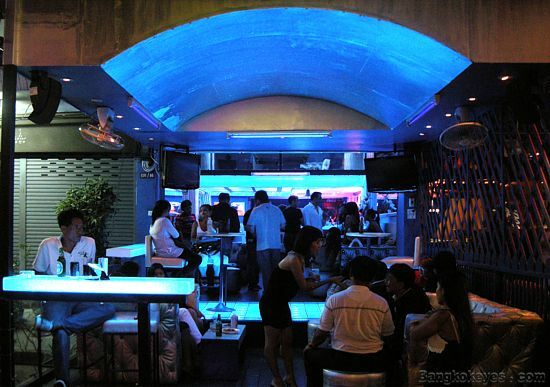 Historically, one of the older Patpong II bars, we hope this time around they will stay ahead of the power curve. Welcome them back to Sin City. 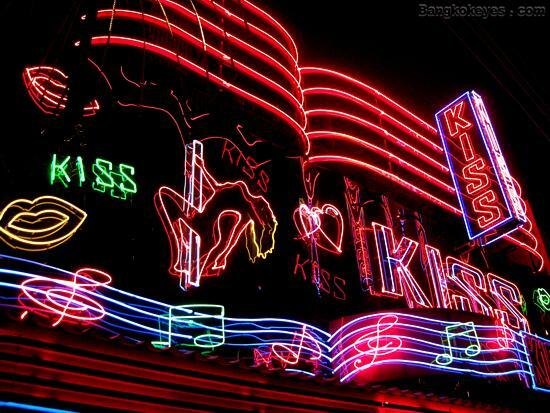 The Hollywood Inn has put up some new neon to -perhaps not too subtly- remind us of what kind of hotel it is. May they perservere. The Sphinx have more or less 'legitimized' their take-over of the outdoor area immediately across the soi from them (in front of the unoccupied building that once housed the original Rome Club). The For Fun, after having opened a month ago, have continued their expansion onto their front verandah, and on out into the street.... The rock still rocks. 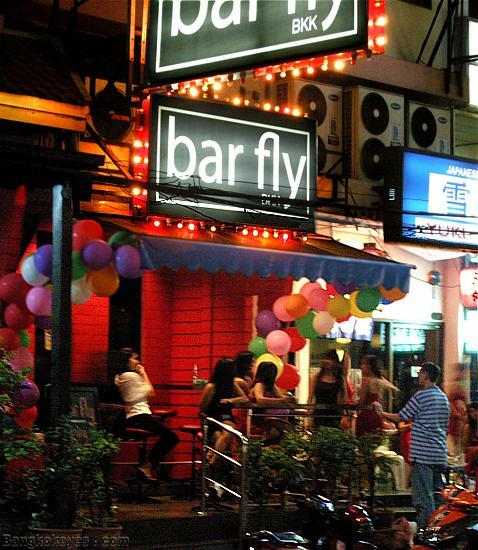 As promised last month, we confirm that Bar Fly BKK opened at the beginning of last month. When we passed by the other night, it looked like there was a party going on.... The Modus operandi of the Bar Fly unchanged from it's predecessor. Keep up the good works. ...An' I learned about women from 'er." The Nippon-oriented Joy is, for whatever reasons, in lock-down mode. As we suspect a temporary closure, we will check back next time, and get back atcha. (Second floor, Peep Inn Park). 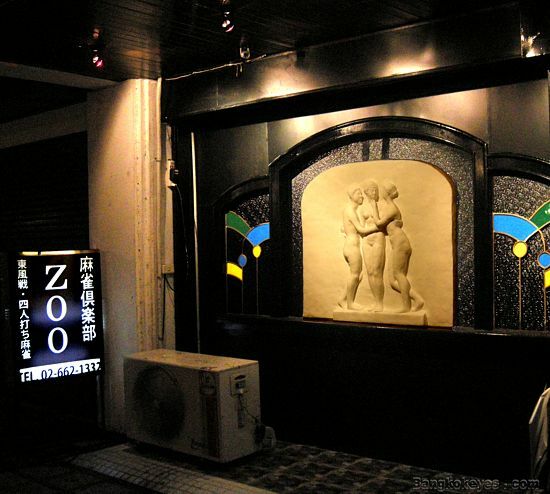 The Zoo Japanese venue (2nd floor, Peep Inn Park) has, we are pleased to report, popped back out of it's crypt, and it is business as usual. Welcome back to the big uphill. 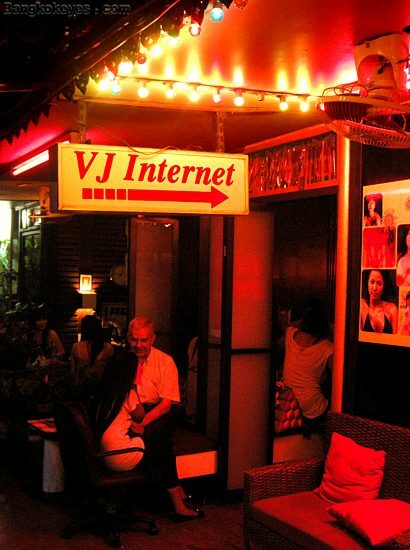 The V J Internet is now also a bar. 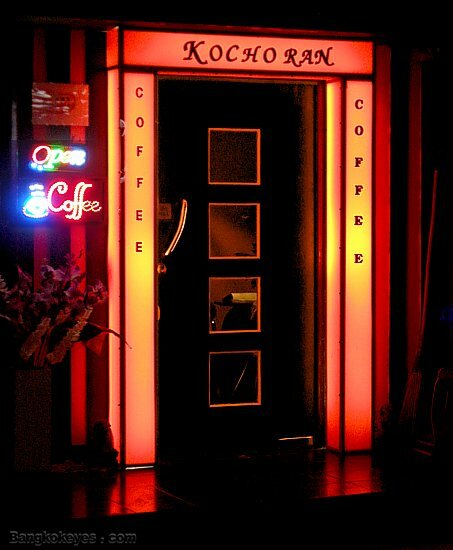 We stopped by for a drink the other night, and found they actually have an Internet room at the rear. Welcome them to the sharkpool. The Boo Sa Bar, which we reported as closed last month, obviously had no intention of staying that way. The place was packed when we passed by last night. Welcome back to partytown. The Blue Lightning Bar has reopened under new management - as, last month, we intimated it might. Lounge - Poolbar the operative descriptor. Welcome them to the neon machine. 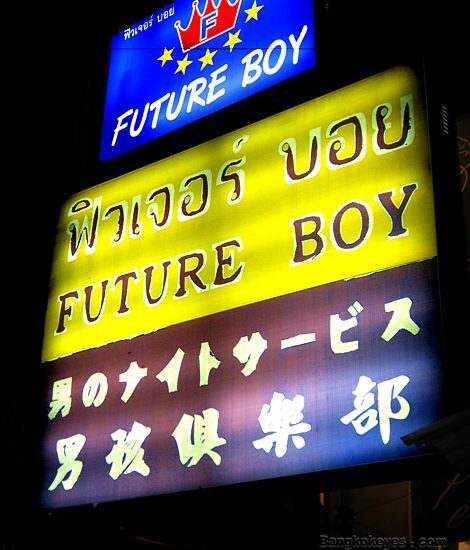 Future Boy's new sign looks like crap - they would do better to leave it turned off. 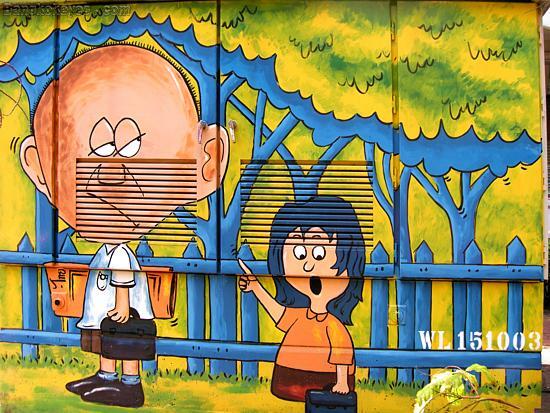 It is either "art" or they are renovating it. Time will tell. 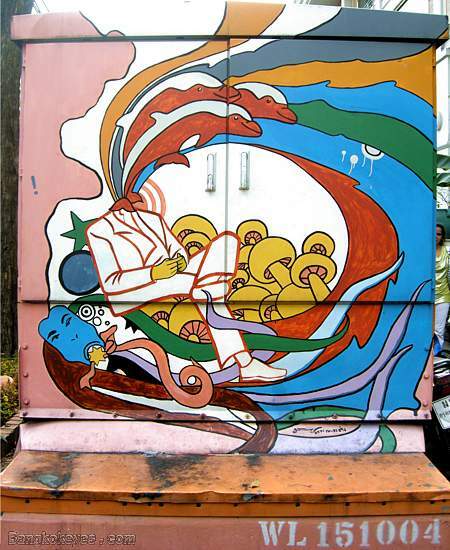 After a couple of previous temporary closures, the Pou Pee bar closed for good 10 years ago, this last month. They were located on the 2nd floor, above the S.T.V. bar beer (still there today). There is no Night Entertainment Venue now at the old Pou Pee location. The Opium Den (restaurant & pub) rolled out the red carpet for the very first time a decade ago. They were located near today's Executive Lounge, but closer to Surawong Rd. There is no Nitespot at that location today. Club Abaniko (Hearty Club) closed their doors for the last time ten years ago. They were located on "The Ramp" next to the Royal Salute (which is temporarily closed also). There is no bar at the Club Abaniko location today. The Naturals reopened this month, a decade ago, after a brief closure. They are still at that location on The Ramp. 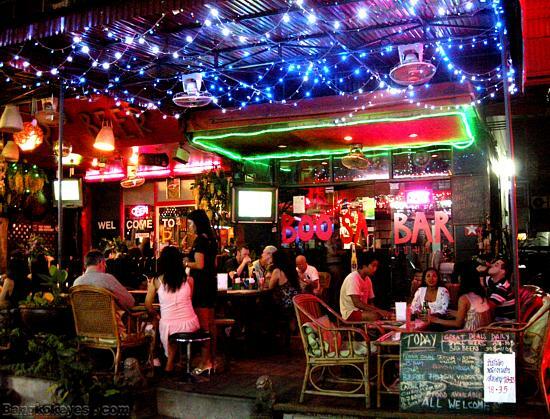 The Bua Luang Swing & Pub opened it's doors for the first time ten years ago. They were located on the 2nd floor above what is today The Strip. 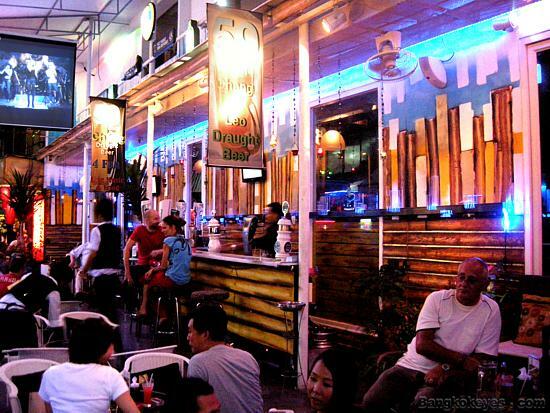 A decade ago, the large vacant lot connecting Soi 23 and Soi 21 (Soi Asoke) began to populate with temporary bar beers. We took a guess that this was going to be a Night Entertainment Area in it's own right. And we guessed correctly. For lack of a better name, we called it Cowboy Annex (in that it shared one boundary with Cowboy). Later, it was (more officially) named Asoke Plaza / Asoke Corner. 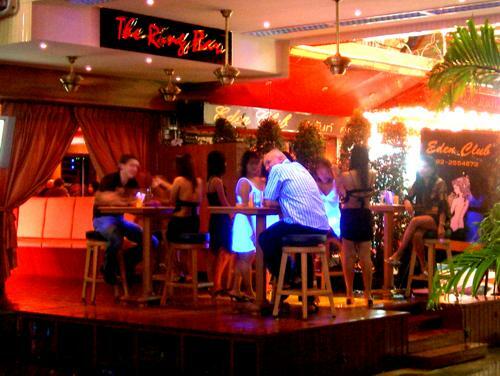 The first four bar beers to open their doors there - a decade ago - were Je Taime, the Moon Light Bar, the Siam Smile Bar (now on Soi Eden), and the Barbie Bar (or, Bar Bie). There is no Night Entertainment Area at that location presently - it has been replaced by a highrise structure. The Saloon Bar, a 'private VIP' bar opened up behind the Spirit House bar beer a decade ago. No bar occupies that space presently. Ten years ago, Mai's Bar bar beer reopened on the third floor out on the walkway next to the Carousel Bar - Hollywood Strip. The Carousel is still there, however, there is no Nitespot at the Mai's Bar location presently. The 'unnamed bar beer' (which we mentioned last month) that opened up on the second floor of Nana Plaza (a decade ago) got some neon up this month (a decade ago). It became officially the "Welcome to Millennium". The Cat House now occupies that spot. The Pharaoh's Karaoke (upstairs above the Sphinx) closed down ten years ago. It did reopen, however was eventually absorbed by the Sphinx, which is still there today. 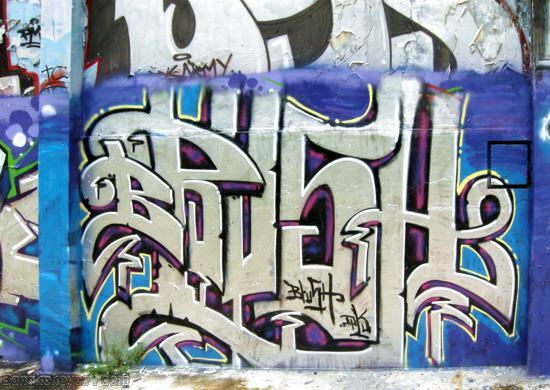 Ten years ago, the Leo Club Bangkok 1994 shoved it's last chit in the cup. The Santana Club now occupies the old Leo premises (Santana is still there today). 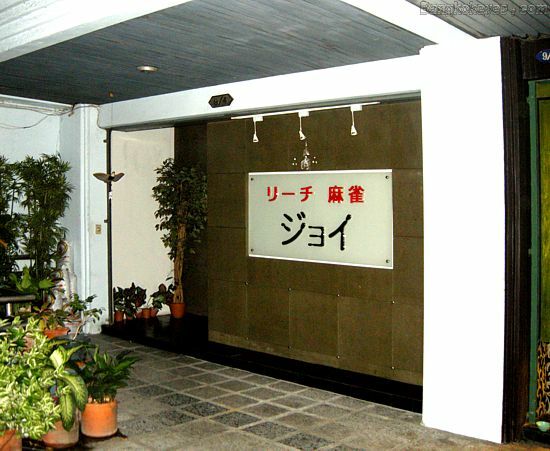 Ten years ago, the Fairy Club Japanese Karaoke Club reopened after a brief closure. The Fairy was located just this side of the Po Traditional Massage - which is still there today. Presently, there is no Nitespot at the old Fairy location. The Tivoli Bar & Grill, at the helm of SuperStar Frank, opened up on the ground floor of the main building 10 years ago, this month. Clinton Plaza is no longer in existence. A decade ago, the Wind Mill bar beer reopened after a brief closure. The Nuch Bar bar beer closed ten years ago, while it's other half, the Nuch Snack Bar reopened. It (they) were located at the outer wall at the rear. 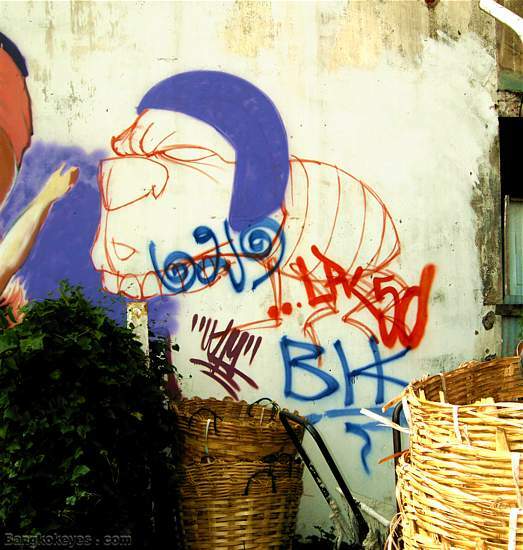 In the very heart of downtown Bangkok, surrounded by ancient and new buildings and police booths, one would not expect to find graffiti. 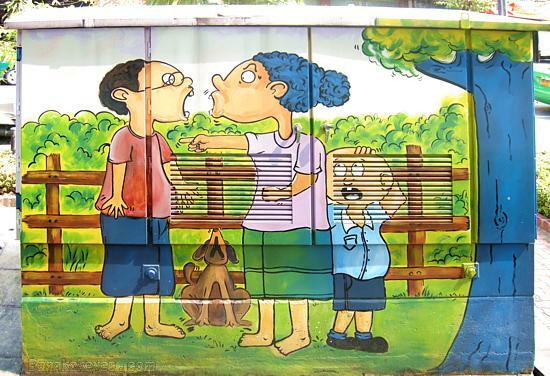 Nevertheless, last week we found about two dozen examples of graffiti art spraypainted on the sides of electric substation boxes along a main street. Or... did we? On closer inspection, we saw that the artwork was carefully covering all parts of the substation, often with the substation number stenciled neatly over the artwork in one corner. 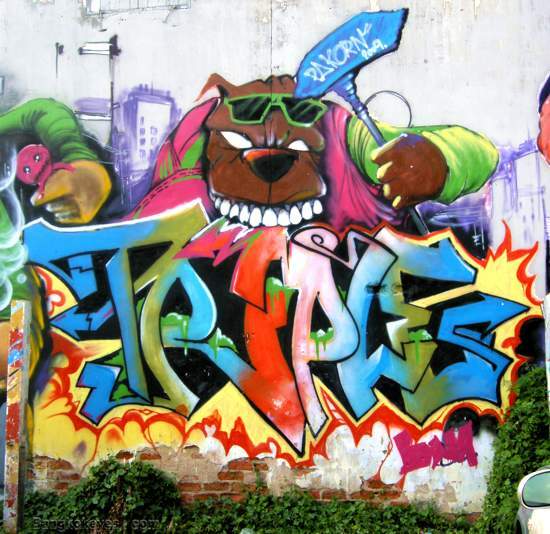 Much of the artwork had typical 'graffiti themes' but most of it depicted some aspect of Thai life, either in former times, or in the present. 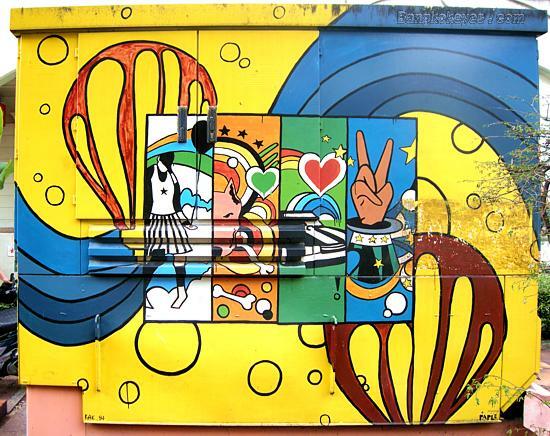 The artwork was signed by various artists. All this indicating the BMA had itself contracted these paintings. 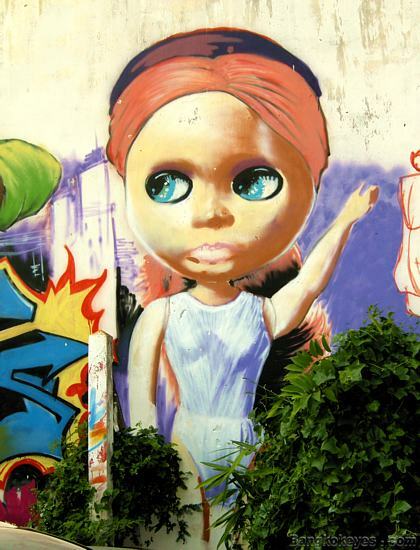 We can only surmise that the paintings were contracted to cover over graffiti of old -true graffiti of the 'vandalism' breed- but we do not know that to be true. What we do know is that the project lent a bit of color and interest to an otherwise fairly unexciting street. 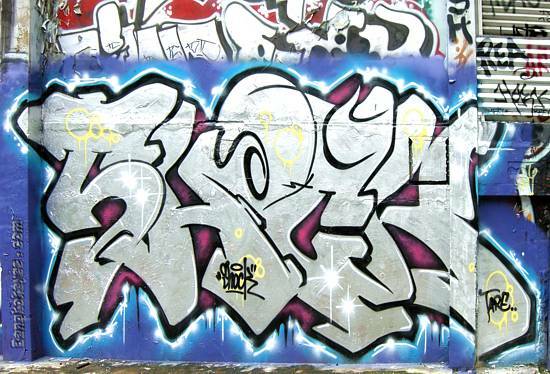 We have included herein a sampling of these"legal" graffiti. 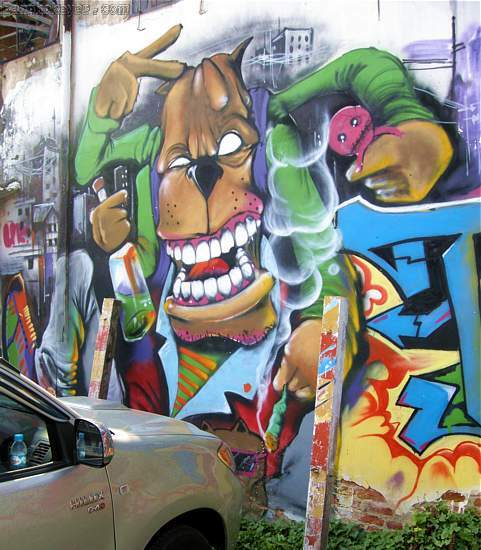 Our thoughts do wander, however, to what these artists do in their spare time.............. ? 8 ft. high x 5 ft.
3ft. high x 2 ft.
8 ft. high x 9 ft.
8 ft. high x 12 ft.
6 ft. high x 4 ft.